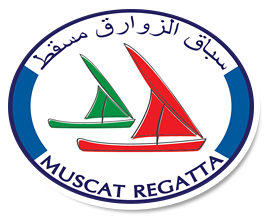 Muscat Regatta 2015.Bank of Beirut Chairman's Cup Announced! We look forward to seeing you there. Marina Bandar Al-Rowdha in association with both the Oman Ministry of Sports Affairs and Ministry of Tourism are pleased to announce the 2014 Muscat Regatta, inshore dinghy event. GWM Racing Ltd has again been appointed as regatta and race management consultants. We look forward to seeing you soon in Muscat!